The Similan Islands (หมู่เกาะสิมิลัน) is a group of islands in the Andaman Sea off the coast of Phang Nga Province (จังหวัดพังงา) in southern Thailand. The Similan Islands are famous throughout the world for the clear tropical waters, white sandy beaches and incredible marine life. It is a national park which was established in September 1982. 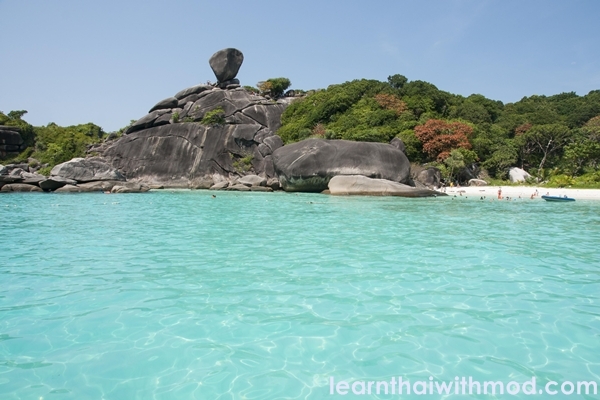 The island’s name “Similan” is a Yawi/ Jawi word which means “nine”. Originally, the park covered 128 square kilometers, 14 of those being land in the shape of an archipelago composting of nine islands. Islands 1, 2 and 3 are reserved for turtle hatching protection so they are closed for public. In 1998, “Tachai island” (เกาะตาชัย) was included as a part of the Similand Island which makes the park covers 140 square kilometers in total. The national park office is located on Ko Miang which is 70 km away from Taplamu pier in Pang nga province, about a one and a half hour speed boat trip. I booked a day trip to Tachai island as well, but it was postponed due to the rain. I was pretty sad, but it is ok it is still waiting for me to go back next year. Nevertheless, I really enjoyed my day trip to the Similan Isalnds (the pickup was at 7:30 am, I arrived at the pier around 8, the boat departed at 8:30 and came back at around 4pm). My guide took me and the group to island no.4 where I saw different types of pretty fish. I was fascinated by the extremely beautiful color of the water – I never seen anything with such gorgeous blue color before, it is the color that us human can never copy what nature created, and the softness of the white sand – it was softer than silk! If you are lucky you will see turtles here and can swim with them since they are familiar with human. Unfortunately, I did not. The view from the Sail Rock viewpoint. 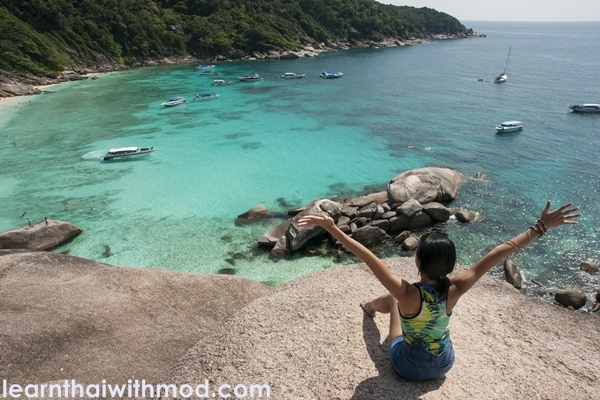 After that, we went to island no.8 where there is the landmark of Similan – “The Sailing Rock” (หินเรือใบ). I climbed to the top and discovered amazing view that almost took my breath away. Since I only did snorkeling (I never done scuba diving before, still haven’t had a chance to take a course) I saw lots of dead coral, and didn’t see any large fish. If you do scuba diving you will get to different spots where I guess there are more to see underwater. When is the best time to visit the Similan Islands? The park is open from November 1st through May 15th; it is closed during monsoon season. The best time to visit (for consistently great weather if you love the sun) is late February through mid March. It guarantees that it is very hot, but the seas are very calm and the evenings are perfect! and you will definitely need your sunscreen! The easiest way to get to Khao Lak is to fly into Phuket and then hire a taxi from the airport to send you directly to where you will stay. Getting to the islands is best arranged through a diving or snorkeling company in the region. They also provide pick-up and drop-off service from and to your resort. Some hotels also offers private trip to the island as well. The water is crystal clear like I was in a swimming pool. I decided to stay in Khoalak and go to Similan for a day. If you wish to stay on the island, there are 20 bungalows available for rent and tents which are only available on Island no. 4. They are owned and operated by the government. At this time the park is NOT allowing private tents, you may only use the tents provided by parks. 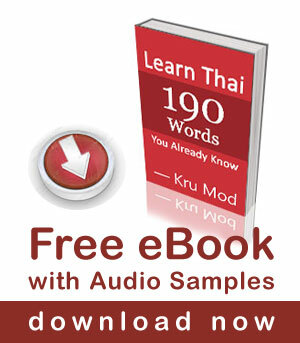 the cost is 2000 Baht per night and reservations are recommended. If you are diving it is best to visit on either an overnight boat or a liveaboard. 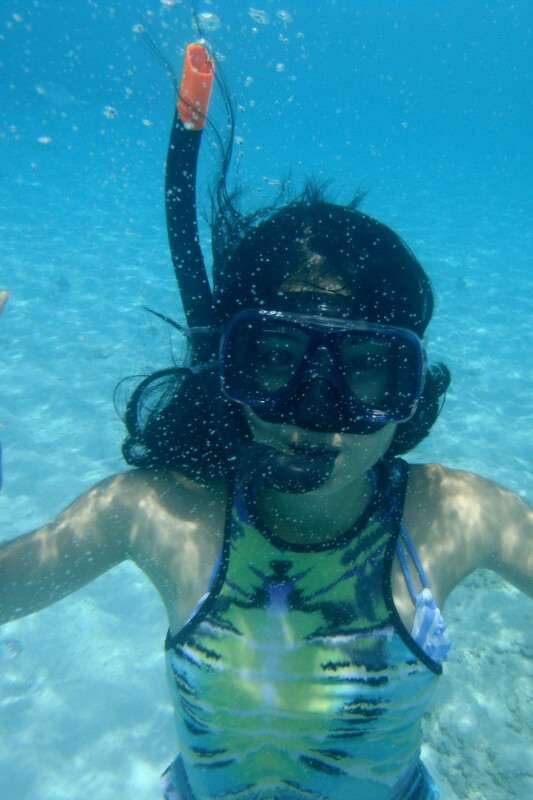 For Snorkelers you can happily choose between overnight trips, camping or simply doing daytrips from Khao Lak like I did. National Park, Wildlife and Plant Conservation Department. Nothing like some sun shine and a swim in the ocean to renew your spirits. I am really grateful for being in my country where there are valuable treasures to be discovered, the Similan Islands is definitely a precious gem that is worth visiting. I truly hope such nature beauty will last long for later generation to see as well. Thank you mod ! I am french asian, often visit thailand, in febraury i will visit the country for the 6th time and thanks to your article I will go to check surin islands na ! It must have been great trip. 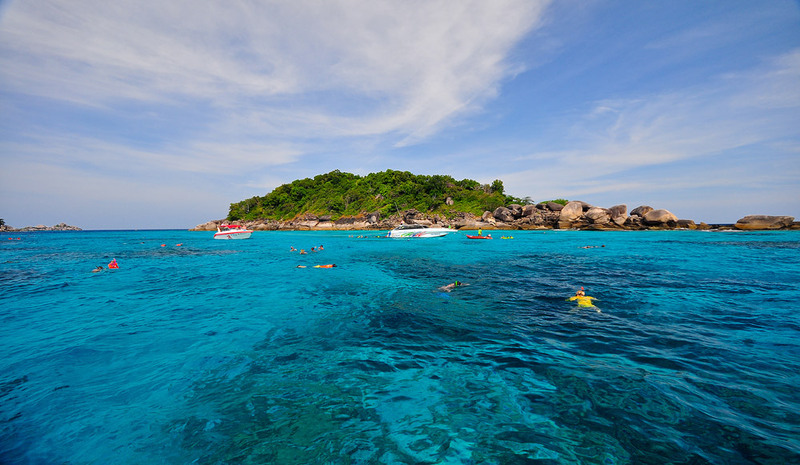 I’ll make sure i’ll visit Similan Islands when i’m in Thailand.